Customers are seen drinking with smiles on their faces enjoying each other's company when entering into this bar. French radio is playing in the background and joyous sounds of customers fill the air. The bar seems tight in space at a first glance, but underground floor is filled with additional seats. At ONZE, locals with groups of 4-5 people, tourists in pairs or those stopping by after work by themselves are often seen. Excellent food and drinks are served in this French-style bar. ONZE has an excellent ambiance inside with friendly staff and is located in a convenient location. The drink menu is excellent here with wines both by glass and bottles, beer, champagne, hard liquors, as well as soft drinks and espressos. How about starting off with some house wine? 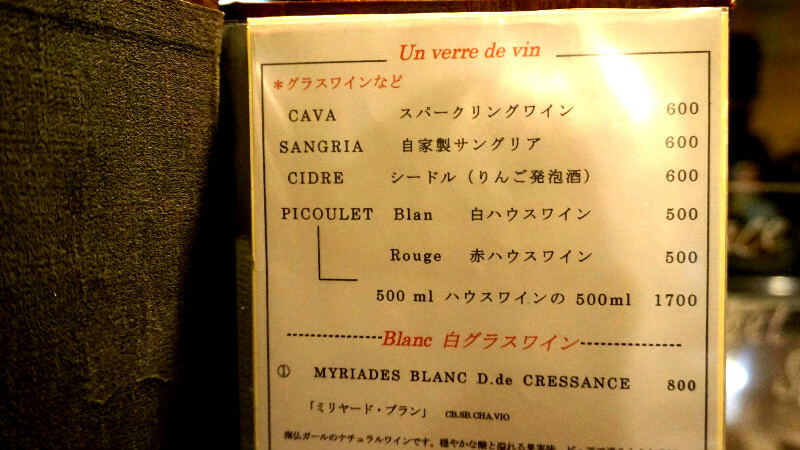 Red or white house wines are ￥500 per glass. Served on a hot cast iron, homemade sausage is on top of a bed of creamy and stringy Aligot. The sausage is pan-grilled to crispy. Excellent Aligot goes very well with flavorful sausage and it’s a great partner to a glass of wine. It’s also excellent t to share between two people. There is an excellent offer for those who stop by for a drink by themselves alone. One plate is served filled with delicious menu items. On the plate are Jammon, pate on bread, Jambon De Espagnol, Tapenade, and one item from salad and main dish (please ask for available choices.) It’s a wonderful service for those visiting alone. House wine (red or white), in-house made Sangria, Sparkling wine by glass, among others are on the drink menu. 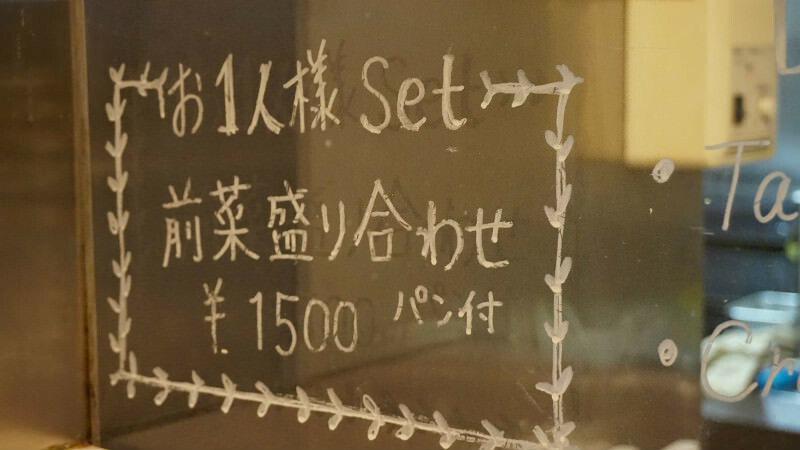 One person plate for ￥1,500 is written on the glass board, available for those who stop by the bar alone. We recommend the One Person Plate when stopping by ONZE alone. If coming with friends or on a date, we recommend sharing several plates. I really enjoyed the atmosphere! It's casual and locals as well as tourists can stop by with easy access. When I went around 5pm, several groups of people enjoying their drinks and food. The food is incredible! 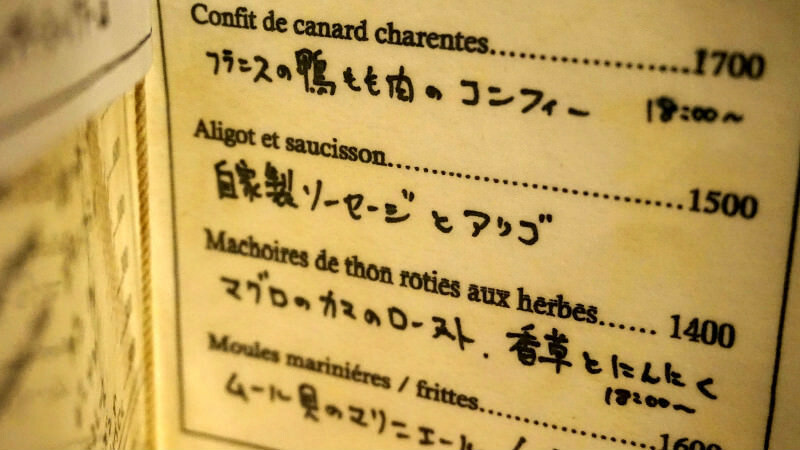 The menu consists of mostly french cuisine, like Aligot et Saucisson. It's homemade sausage with potato and cheese Aligot. It's so delicious!